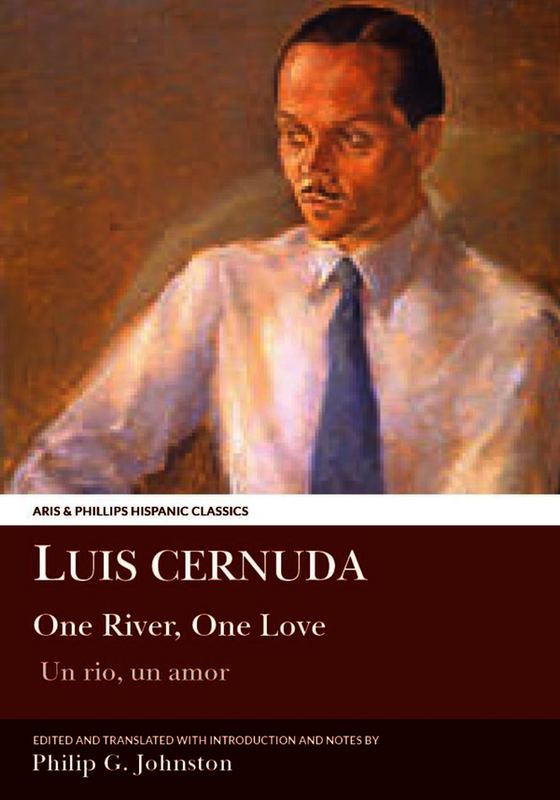 Philip G Johnston's new translation of Un rio, un amor (One River, One Love) by Luis Cernuda (1902-1963) is faithful to the author's quasi-Surrealist intentions. Written in France and Spain in 1928-1929, this collection reflects the influences, conflicts and impulses that governed the poet's life then. It speaks of the alienation of a marginalised, disaffected individual in a Spain which he described as "decrepit and decomposing", of a shy homosexual gradually and painfully coming to terms with his orientation in a rigid, hostile society, of a passion for American popular culture (Jazz, Blues and cinema), filtered through a Hispanic sensitivity, and eventually somewhat tempered by the disappointments of daily life. The collection's later poems see Cernuda finding an admirable and resonant voice of protest. Very much a part of the broad European Modernist ethos (Cernuda can justifiably be compared to, say, T S Eliot), One River, One Love is furthermore written in the spirit of Spain's famous Generation of 1927 (spearheaded by figures such as Dali, Lorca and Bunuel) which set about reacting to "what had already been said", seeking the radical reform of the Spanish aesthetic and, in doing so, created a second Spanish Golden Age. Intriguingly balanced between what Cernuda himself would later term "Reality and Desire", this collection also involves a significant flirtation with the conventions of Surrealism. Lautreamont's famous formula involving the sewing machine, the umbrella and the dissection table is most certainly nodded to here in the characteristic Cernudian harnessing of shocking, incongruous and unexpected elements in imagery. That flirtation, however, stops short of full consummation of the relationship (Cernuda never, for example, gives himself completely over to unfettered, automatic writing, or, "dictee de la pensee") -which fact in itself speaks of a peculiarly Spanish twist to the European avant-garde. Philip G. Johnston is Senior Lecturer in Spanish in the School of Languages and Literatures at University College Dublin. He is the author of an edition of In the Burning Darkness by Antonio Buero-Vallejo in this series, and also a major study of the poet Antonio Machado.